Today we are featuring a heavily customized BMW G310 straight from Taiwan. 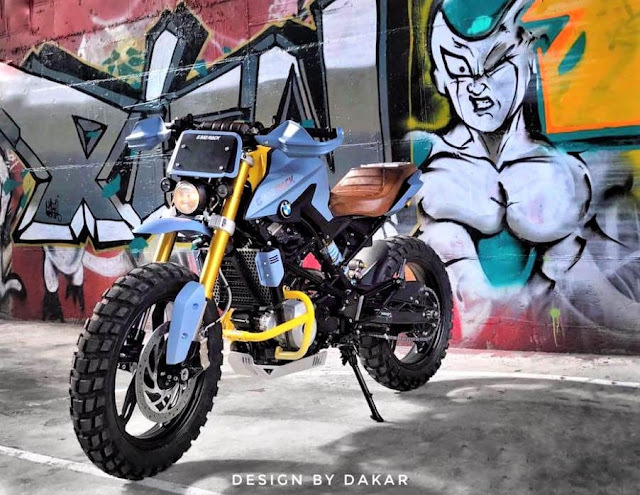 DK Customs have modified the standard BMW G310R version into a roadster. They have used bigger, fat and wide tyre than usual one by which the ground clearance of the bike increases. In the Front they have placed a smaller head at the lowered position which gives space for the custom black visor. The fender fender is replaced by the motocross type fender and the handlebar has knuckle guard attached to both sides. On the sides they have used engine guard and painted it in yellow for the perfect contrast. They have used even a bigger exhaust in this bike. They have used custom seat cover. 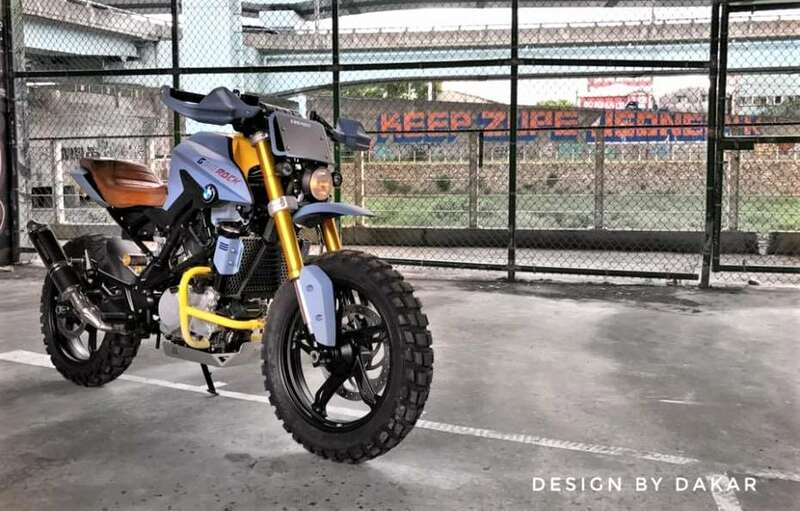 This bike was made even before the introduction of BMW G310 GS in Taiwan as a adventure tourer version.